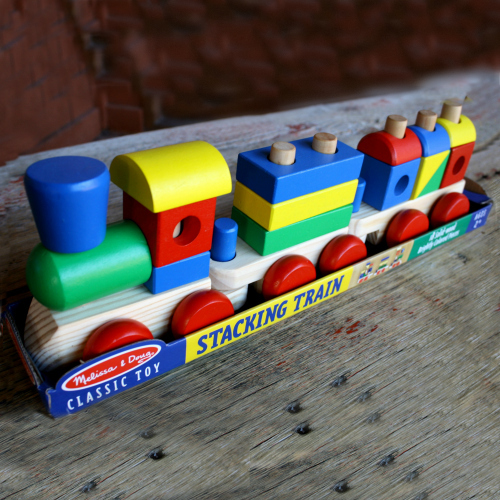 Eighteen brightly-colored solid wooden blocks, circles, pegs and shapes connect and stack to form a steam locomotive, boxcar and caboose. After construction is complete, the train will easily roll along a flat surface for hours of enjoyment. It’s lightweight and safe for children two years old and older.